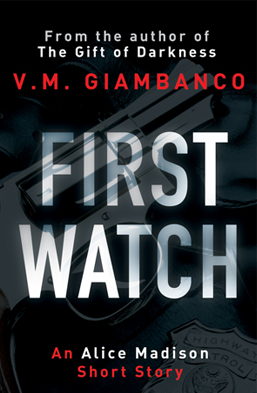 FIRST WATCH is a prequel to the Alice Madison series. We find Madison fresh out of the police academy and about to have a very bad night indeed. I love looking into Alice’s past: why did she go back to Seattle after graduating college in Chicago? Why is it so important for her to become a Homicide Detective? And what does the Internal Affairs department want with a new recruit with little street experience and no connections? Alice’s troubles are only beginning.